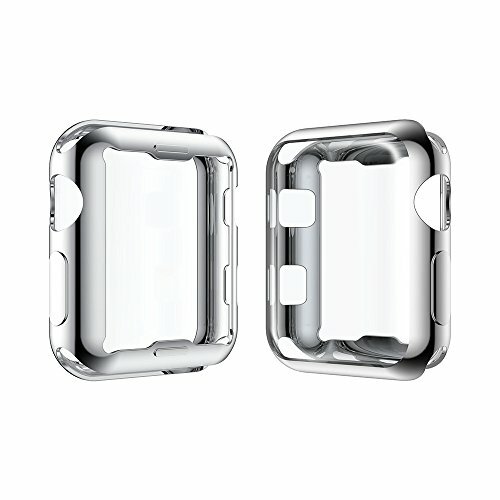 KONKY Apple Watch TPU Hülle 42mm Series 3/2, Slim Apple Watch 2/3 Silikon Case All-around Schutz Kratzfest Stoßfest Schutzhülle Gehäuse Abdeckung mit Schutzfolie Feature für iWatch 2/3 42mm (Produktgarantie), Silber bei ZUM KAUFEN Online günstig bestellen. 1. 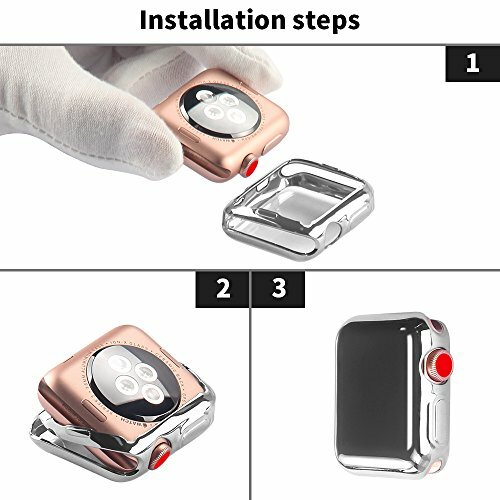 99% high transparency and brand new, to colorize your Apple Watch and maintain the shiny appearance. 2. 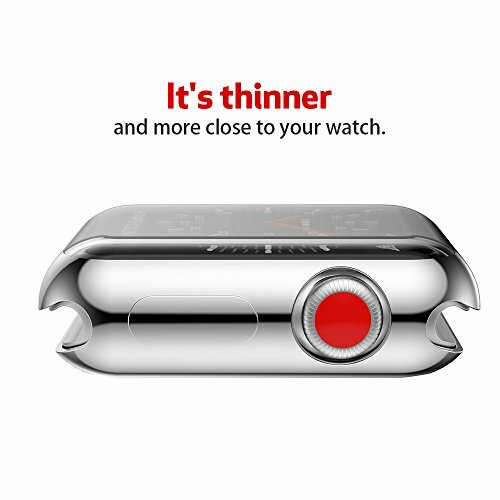 Slim and lightweight, almost add no weight to your Watch and Wrist. 3. Easy snap-on installation makes it easy to install or remove in just one snap. 4. 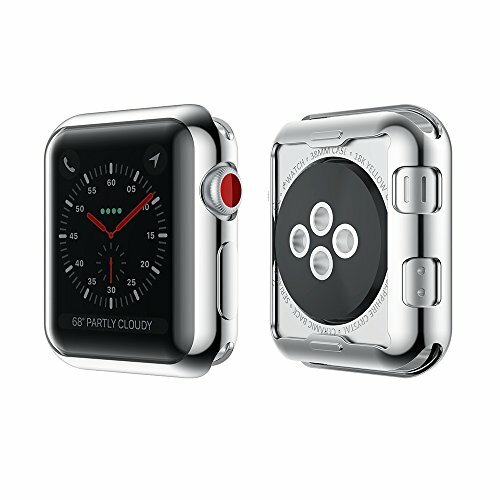 Access to all controls, buttons, sensors and Apple Watch features. 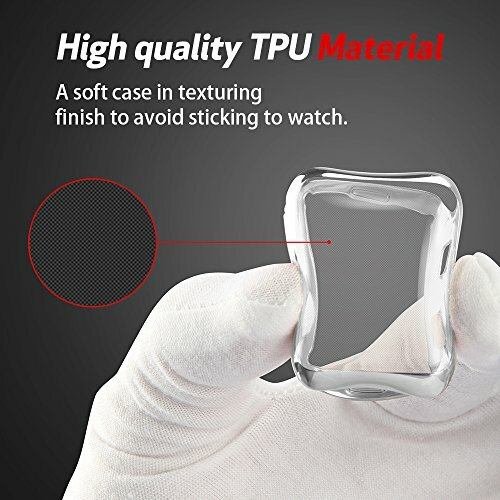 High Sensitivity will not affect any operation. 5. 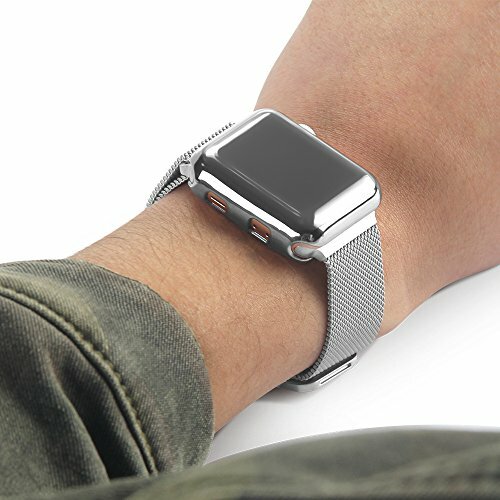 High quality TPU material will not yellow, the soft case protects your Apple Watch and Watch Screen from bump, shock, dirt and scratch. 6. 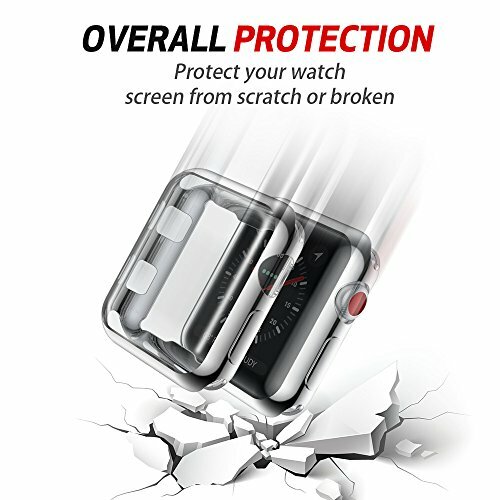 Free Replacement is available if there is any quality problem.